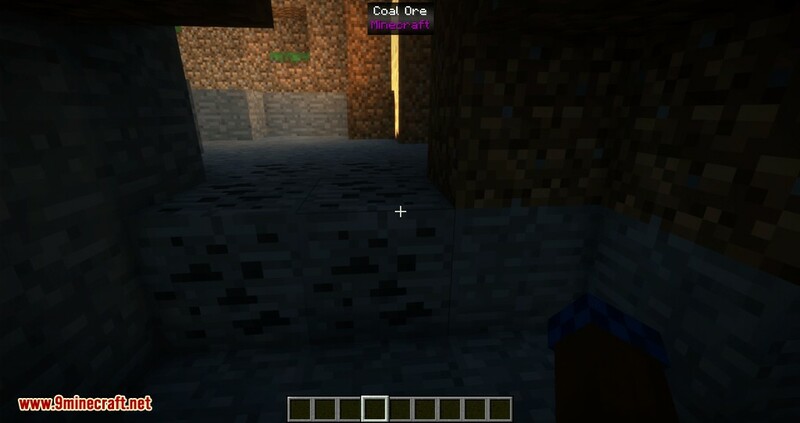 WIT Mod 1.13.2/1.12.2 (What Is That?) is a lightweight mod similar to WAILA. Think of it as a different flavor, serving a similar function but in a different way. 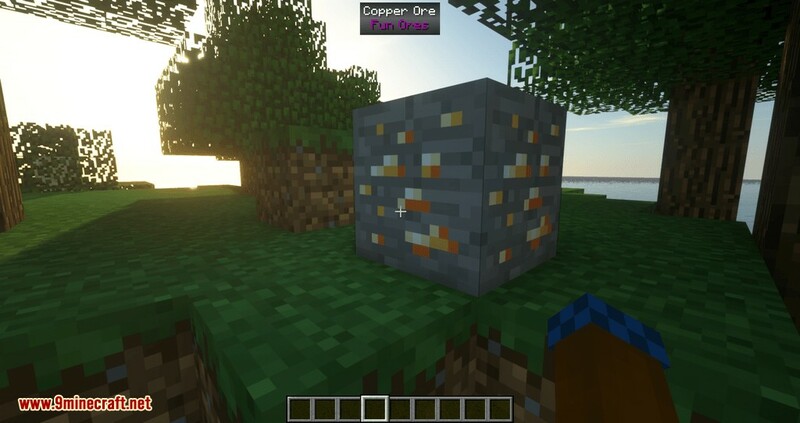 It displays information about blocks and entities when you look at them. 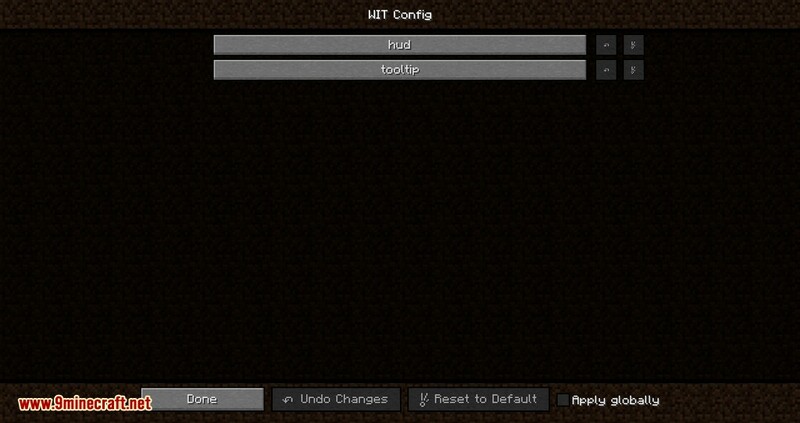 WIT also has an API for modders to work with. 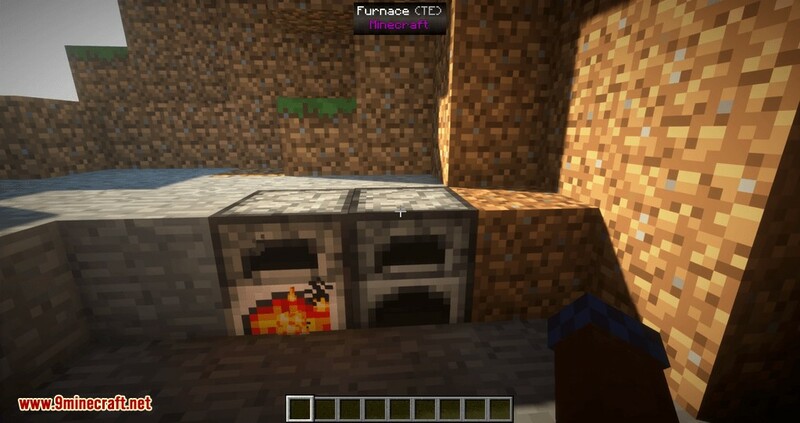 Note: The 1.13 version still has some issues, mostly due to Forge being incomplete. 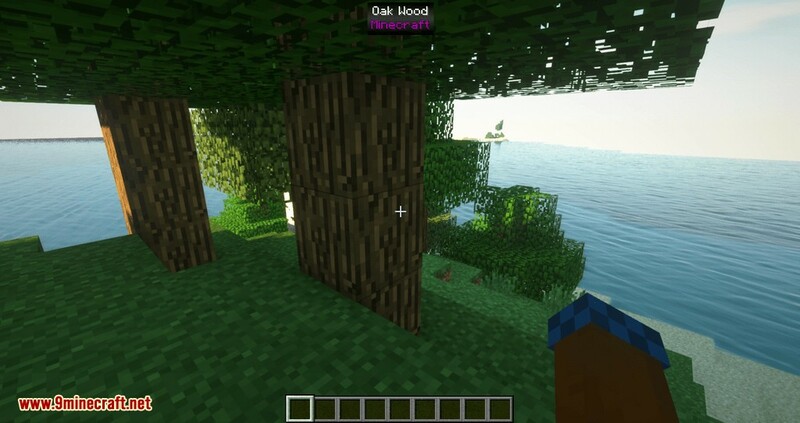 The name of the block/entity and the mod it is from. 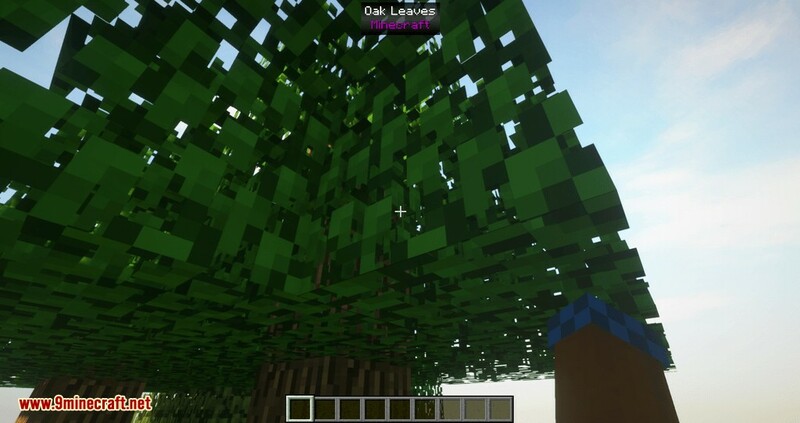 Look at blocks and entities for basic information. Sneak for more information. The background also has a fancy sliding animation, just for fun. 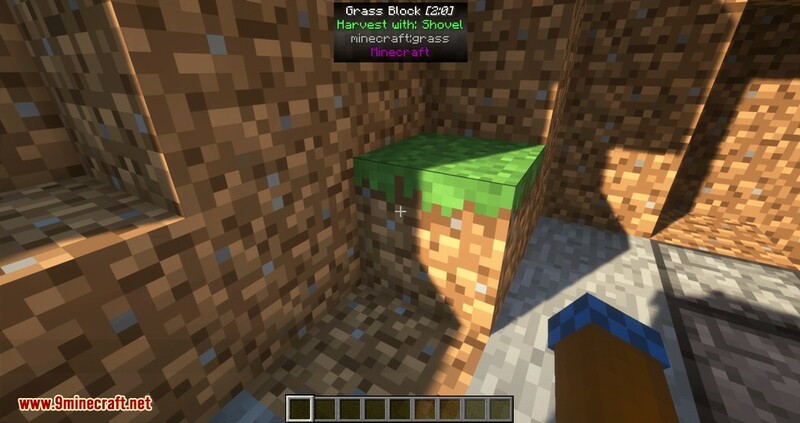 The version for Minecraft 1.13 adds a “sticky time” to the HUD overlay. Whenever something goes out-of-range, the overlay sticks around for a short, configurable time. By default, the sticky time for entities is much longer than that of blocks. 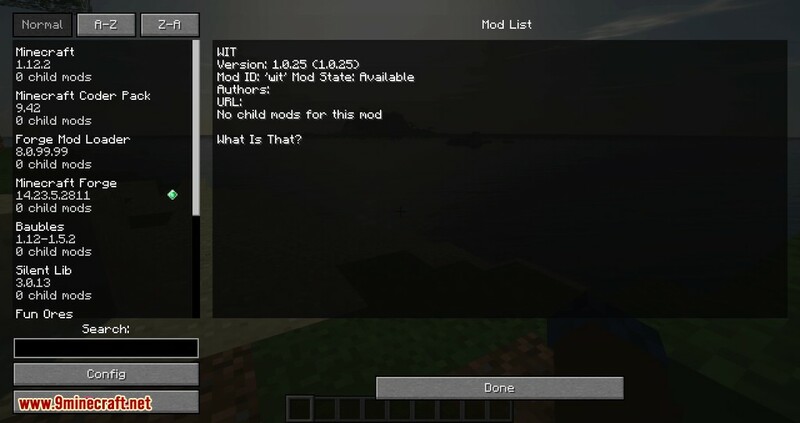 This should help with getting details on fidgety mobs, or during combat. 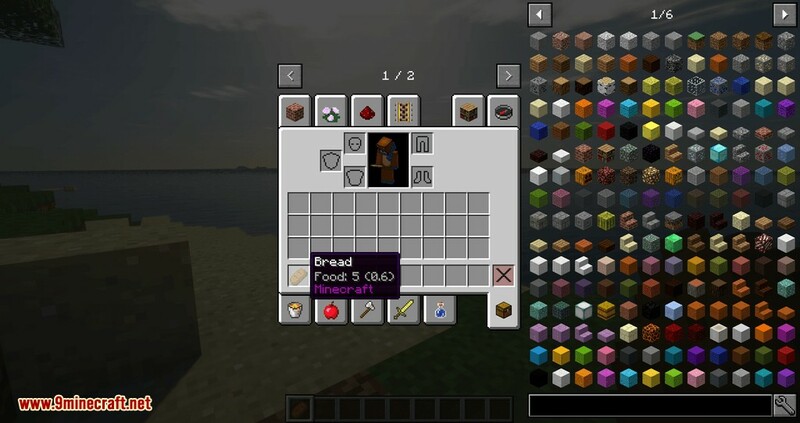 WIT also displays the mod name, tool durability and speed, food values, and ore dictionary entries (1.12.2 and earlier) in item tooltips. You typically need to hold shift to see these. 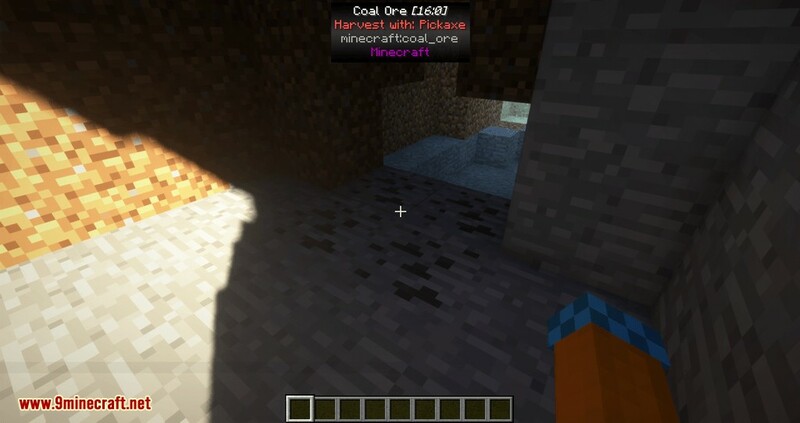 Support for 1.13 item tags is being considered, but it may not be practical to implement. 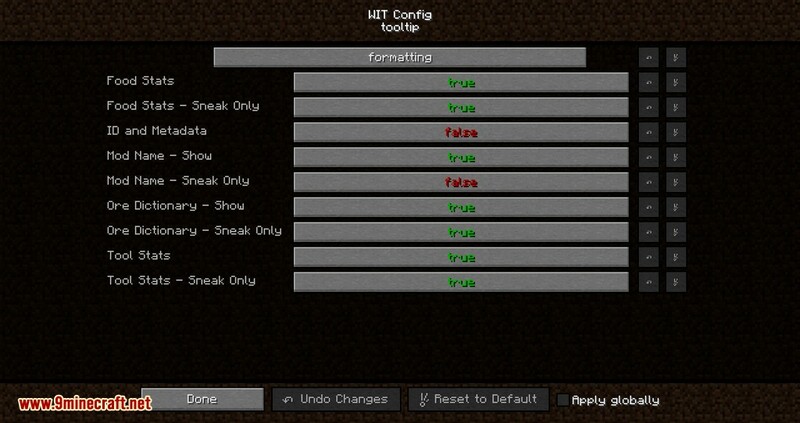 What is displayed, whether or not it requires sneaking, and the formatting (color) of most elements can be changed in the config file.